SOAR 2018 is less than a month away, and we’re busy putting the finishing touches on our program. We are looking forward to meeting with so many members of the BluJay community, and hearing how BluJay’s solutions are helping to navigate through today’s modern supply chain. From May 14-17, we will convene in sunny Orlando, Florida, where attendees will be given a more personalized experience with tailored tracks and sessions based on the key roles that make up today’s supply chain industry. Our last SOAR post focused on the role of the modern-day shipper, this time we will take a look at what’s in store for customs brokers at SOAR, so let’s dive in! Brokers have the eminent responsibility of interacting with government agencies around the world on a daily basis, making global trade possible. There’s a lot of weight put upon their shoulders, because transferring goods across borders and trade zones is both high-risk and arduous work. If all goes well, and as planned, customers are satisfied and loyalty heightens. Get it wrong, and brokers run the risk of losing business for their organizations. To support brokers, BluJay is offering a number of educational sessions covering topics that address the changing world of customs management, trade compliance, geopolitical influence, and the power of integrated technology. In fact, members of the NCBFAA can earn 12 continuing education credits for attending SOAR 2018. The brokers’ track will feature a customer panel discussion on global trade – is it growing or shrinking, what does the future look like, how will tariffs come into play? Breakout sessions will cover hot topics such as NAFTA, the Northern Border, the impact of changes in Washington, D.C., and of course, tariffs, duties, and regulations. Discovery sessions and the Experience Center will offer highlights of BluJay’s Customs Management application, with a first-hand look at how to handle unique compliance requirements for imports and exports with multiple countries, from a single solution. Learn how the Global Trade Network (GTN) facilitates customs management workflow to help increase the accuracy of filings and minimize fines and penalties. Attendees can also expect to learn more about various topics related to customs, including denied party screening, license determination, and document determination. 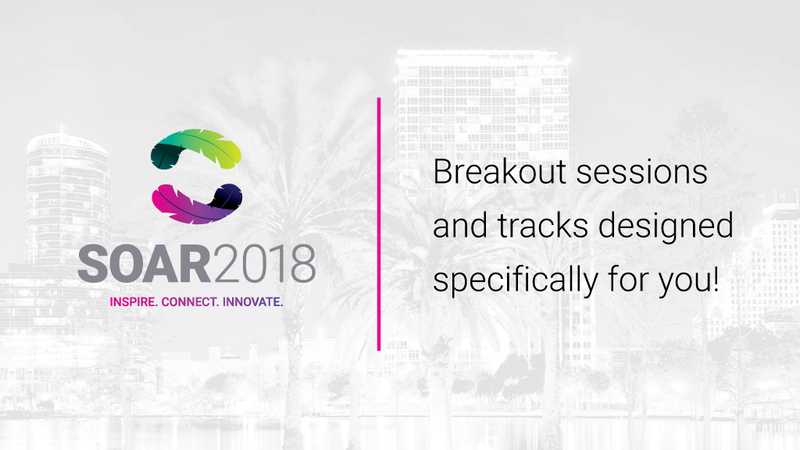 Stay tuned for more information on what to expect at BluJay’s biggest educational event of the year, as we continue counting down to the SOAR 2018 Customer Conference. Find complete details or register at the SOAR 2018 website.